Description: In the conclusion of this two-part interview, Laura Chandler continues her conversation with Buddhist teacher and the founder of Nangten Menlang Buddhist Medical Center, Tulku Lobsang Rinpoche. Tulku Lobsang is the recognized reincarnation of the great Tibetan Buddhist master Tulku Nyentse. At age 17, he escaped Tibet, was caught, and after spending time in a Chinese prison, successfully escaped to Nepal. In this episode, Tulku Lobsang explains how discovering true happiness within yourself is the wisdom of Buddhism, and offers an important teaching from Machig Labdrön, Tibetan Buddhism’s great female yogini. He also shares his thoughts on the future of Buddhism and his upcoming teachings in Europe and the U.S.
To learn more about Tulku Lobsang you can visit his website, tulkulobsang.org. 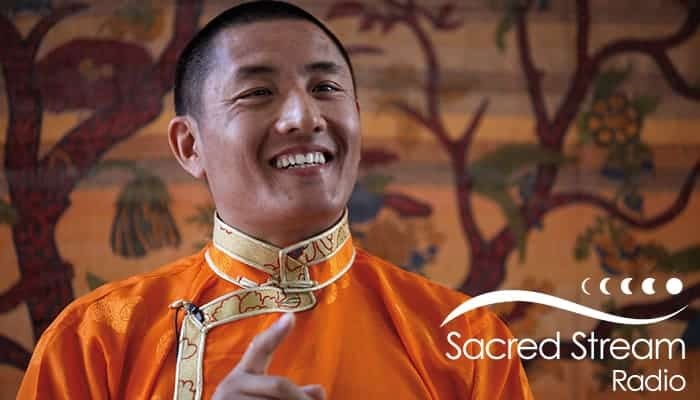 This episode of the Sacred Stream Radio Podcast features music from the Monks of Gaden Shartse Dokhang and their Sacred Chants of Tibet album, released on Red Cow Records. LIKE WHAT YOU HEAR? SIGN UP FOR FREE UPDATES!